2004 G35 Coupe, manual transmission, very sporty, power, handling and luxury. What a nice car. All cars and trucks go through our 52 point service and safety pre-sale check. All maintenance and service is current and up to date. Extended 4 year warranty available. Appointments are always available, 7 days a week from 8 am till 9 pm. Our doors are open for walk-in from 12 noon till 6 pm 5 days week Monday thru Friday. Trades always welcome. Extreme Motors Inc. 858-278-3988, visit our website @ extremotorssd.com. 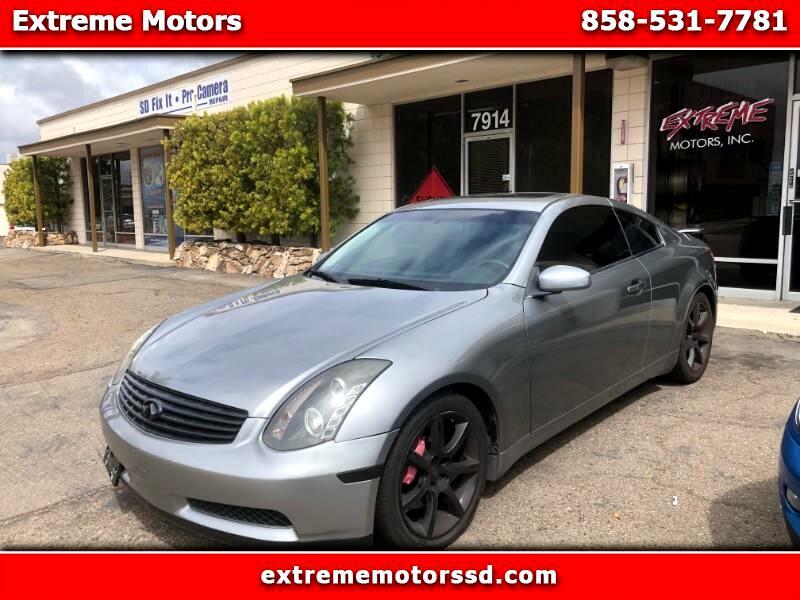 Visit Extreme Motors Inc online at extrememotorssd.org to see more pictures of this vehicle or call us at 858-531-7781 today to schedule your test drive.